Norton To Release Gamer-Friendly Antivirus Software | OhGizmo! When it comes to a PC gamer, they need certain things that other users might not need in a computer. High-end graphics cards, lots of RAM, fancy keyboards and special mice are all things than you might find attached to a gaming rig. 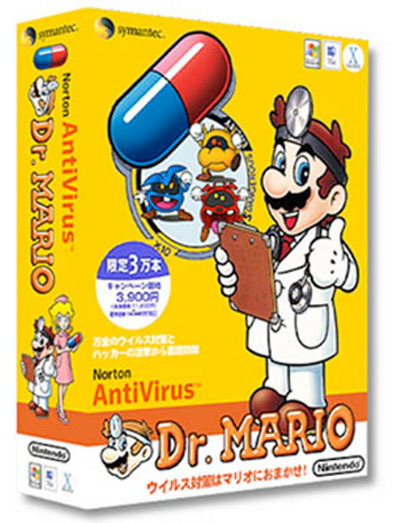 So when it comes to fighting computer viruses, gamers need special software for that, right? Norton seems to think so. Norton Antivirus isn’t know for its low memory usage. In fact, it can be one of the biggest resource hogs on your computer, which isn’t good for framerates. So what has Norton done? They’ve cooked up a special Gaming Edition of their 2009 antivirus software. This release is supposed to use 80% less memory, and allow for more lax security in leu of better performance. You can even set it to “Gamers Mode” which will suspend all update downloads and antivirus alerts, thus not interrupting your gaming experience. If this special version doesn’t cost anything extra, then it might be worth looking into, that is if you can stand to have Norton on your computer in the first place. Cool idea for anti-virus software. My son has downloaded his fair share of malware while playing all those java-based video games.